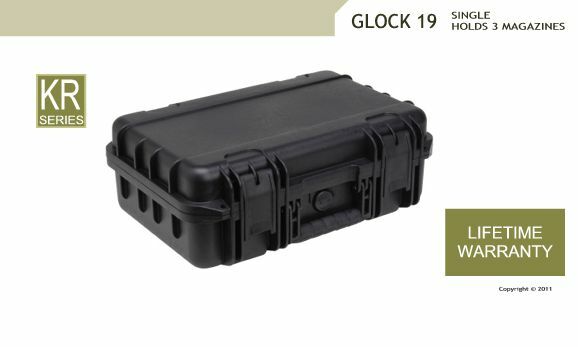 CaseCruzer has come out with a carrying and storage solution for both civilians and law enforcement units that wish to protect their Glock 19. 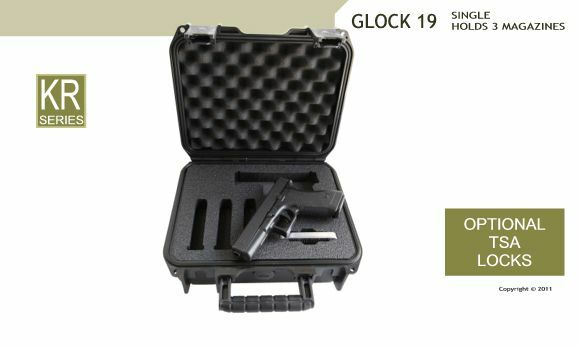 The gun case accommodates a single Glock 19 handgun along with storage for up to three magazines. 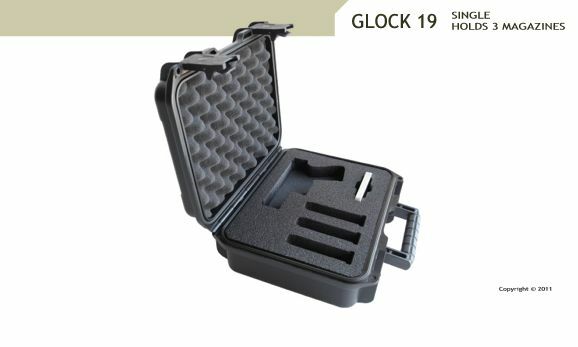 The case like the gun, is compact, lightweight and durable, weighing in at 4 lbs. and its exterior dimensions are: 14"L x 12"W x 6.25"H.
It is expected that gun owners set high standards for their firearms, because it’s supposed to protect them. Those demands can also apply to the case protecting the gun inside – because guns need to be protected too – from things like rust, environmental factors, and impact. The case comes with many certifications: MIL-STD-810F (resistant to UV, solvents, corrosion, fungus and impact damage), MIL-STD-C-4150J (waterproof), MIL-STD-648C (automatic ambient pressure equalization valve), IP67 (protection against dust and the effect of immersion between 15cm and 1m). In addition, it is ATA rated and is TSA latch-friendly. It also comes with a trigger release latch system and an ergonomic snap-down rubber over molded cushion grip handle. 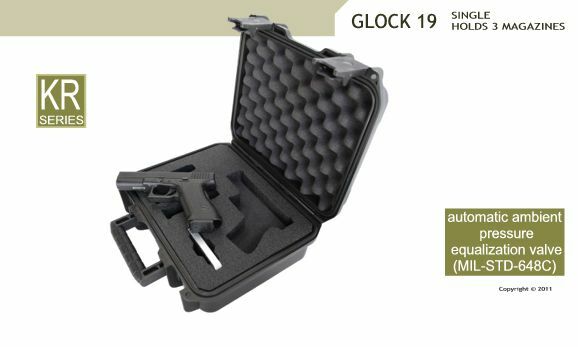 Glock 17 Pistol Case holds 1 pistol and 3 magazines. 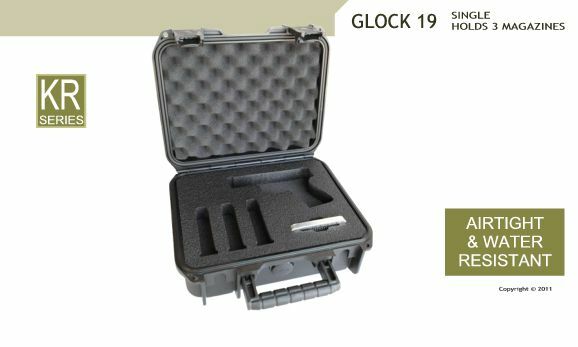 5 Pack Universal Pistol Case protects five handguns for Sportsmen, Collectors and Law Enforcers. 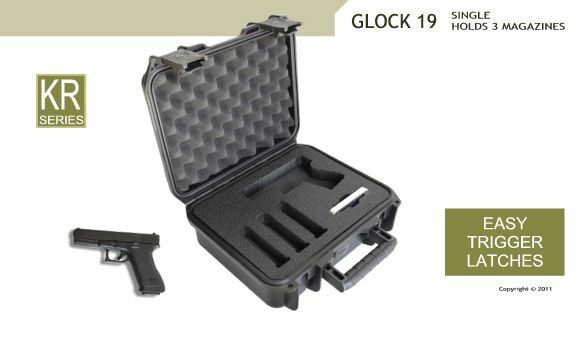 Case protects one M9 Handgun and three magazines.